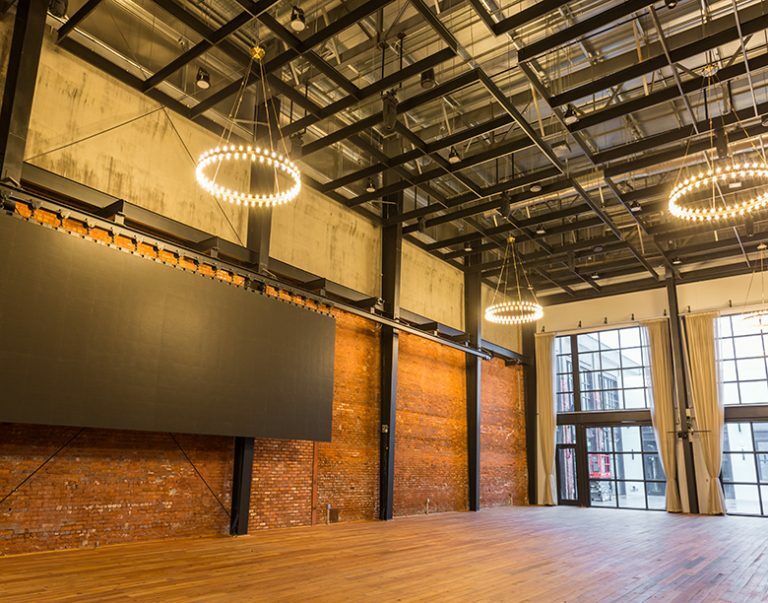 The Gathering restores the original historic charm of Armature Works, with state-of-the-art lighting and AV upgrades including two 9′ × 16′ LED video walls. 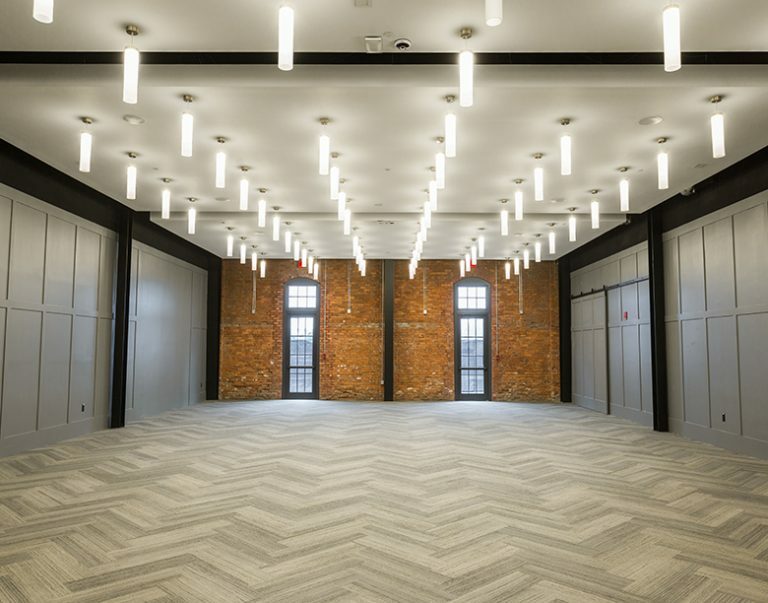 With over 10,000 square feet and capacity to seat up to 700 guests, it is the largest multi-functional event space in Armature Works. The Gathering has two adjoining pre-function spaces with an additional 4,800 square feet of indoor space and more than 4,000 square feet of outdoor space ideal for cocktail receptions and ceremonies. Historically, the Theatre was a bar and stage-equipped performance space used by the Tampa Electric Company (TECO) street car workers to wind down after a long day of work. 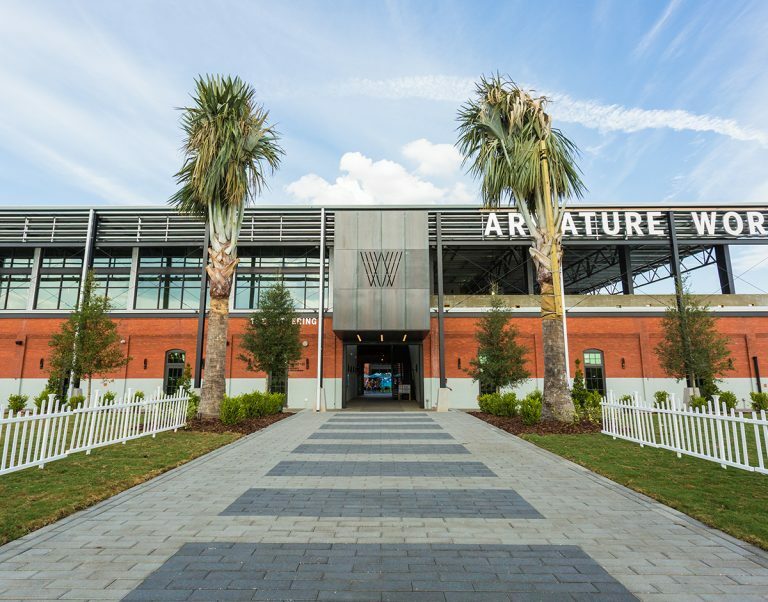 Today, the Theatre stays true to its roots as an entertainment venue showcasing elements from its rich heritage including wood truss loft ceilings, exposed beams, original flooring and new modern materials like shiplap wall accents and wrought iron lighting fixtures. 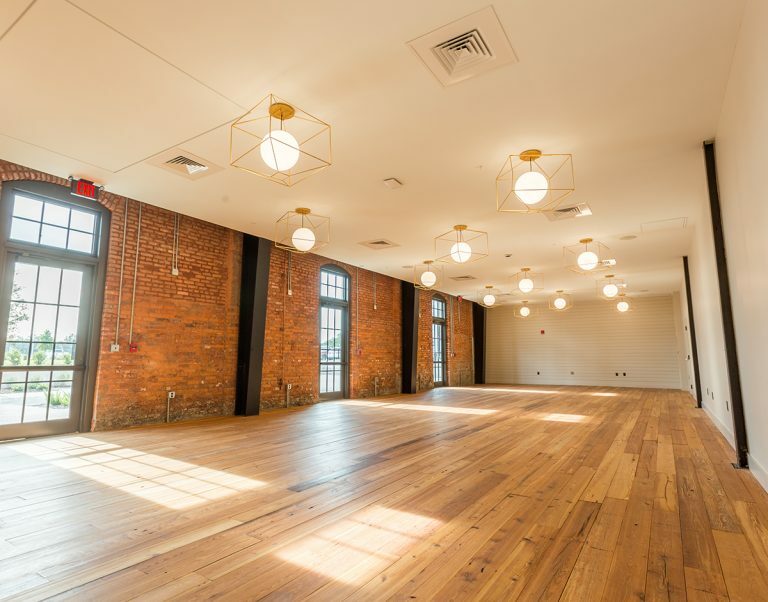 Overlooking the Hillsborough River and Downtown Tampa, this beautifully renovated space has more than 2,500 square feet and can host events up to 200 guests. 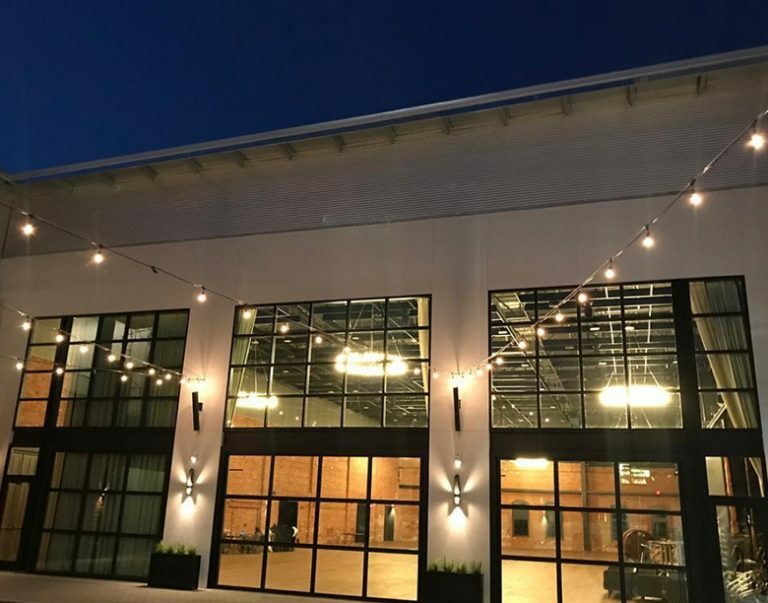 The Courtyard is located in the center of Armature Works and is the perfect open-air location for events wanting an outdoor feel. 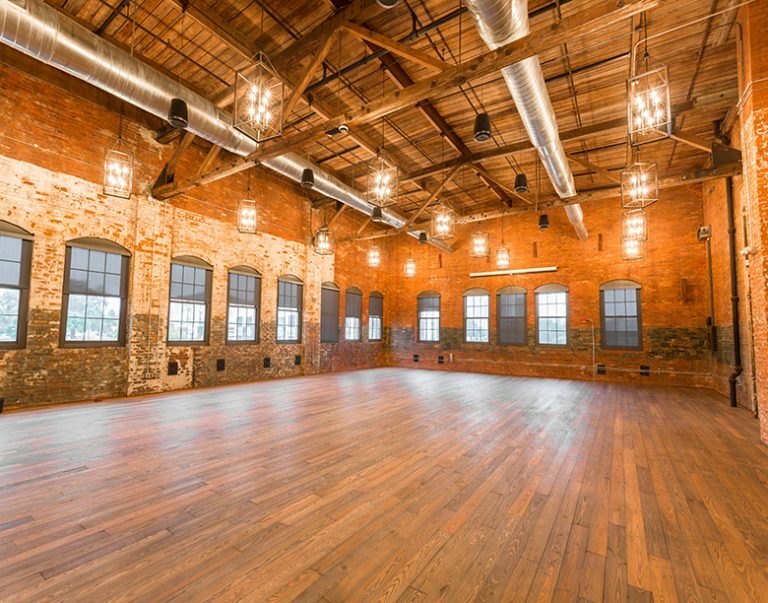 This space is ideal for cocktail receptions, networking events, wedding ceremonies or can create a unique indoor and outdoor feel for the Gathering. The west lawn creates the perfect environment for an open-air celebration. Incredible sunset views of Downtown Tampa make this area an ideal location for outdoor wedding ceremonies and receptions. Dock access by water allows guests to come and go by boat or water taxi. Located inside the West entrance, the Social Room can serve as the Gatherings pre-function or a stand-alone event space. This newly renovated modern room has a warmer feel as the exposed brick, chic lighting and wainscoting permitters the room. The Social Hall is filled with historical charm and perfect for hosting indoor wedding ceremonies, intimate dinners and cocktail receptions. For larger events, the Social Hall can be combined with the Social Room.